You might not know it yet, but you are suffering from Downton Denial. You're in the middle of the new season, everything is good, it's great in fact. Mary is rebounding quite nicely with Anthony Gillingham and Charles Blake, though my money is on Charles... who could resist the lure of Julian Ovenden, seriously? Daisy is turning into this wonderfully snarky character that is almost getting better lines then Maggie Smith. Also, what will happen with Edith's ever complicated love life, could there be something worse then being left at the alter? And then there's Anna and Bates. Poor poor Anna... at least Julian Fellowes didn't kill her! And finally, Rose, who is turning out to be far less annoying then I anticipated, which is a nice surprise. Throw in some Americans and you have first rate television... but you are still in denial. The fact remains that come February 23rd you will have no more Downton. You will have to wait a whole year just to have nine more episodes... the fact that you don't want to face up to this knowledge is where your denial comes in. But I am here to aid you! I am here to help you cope with the bereft feeling that will overtake you in the weeks to come. 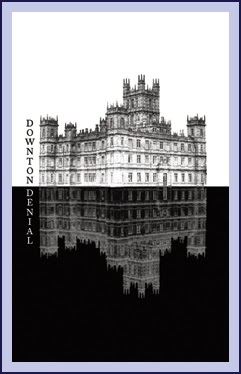 While Downton Abbey is unique in it's own way, it's not so unique that you can't find books to fill the void inside. For the month of February I will have a plethora of Downtonesque reading suggestion to help you through the loss to come. It's the least I can do for my fellow sufferers. +1 for answering the question: Who is your favorite character on Downton Abbey and why? +25 if you comment on any of the posts during the Downton Denial Celebration, with something other than "I hope I win" or a variation thereof. Hello! 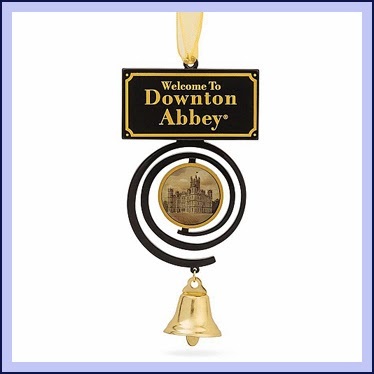 I will throw my hat in the ring for this contest, as I love Downton and that bell is sweet. I linked to your blog last week (http://thebubblebathreader.wordpress.com/2014/02/07/happy-friday/). I'm enjoying all the Downtonesque reviews.